Designed by golf legend Gary Player, this 250+ acre site is a riverfront picture of true beauty. 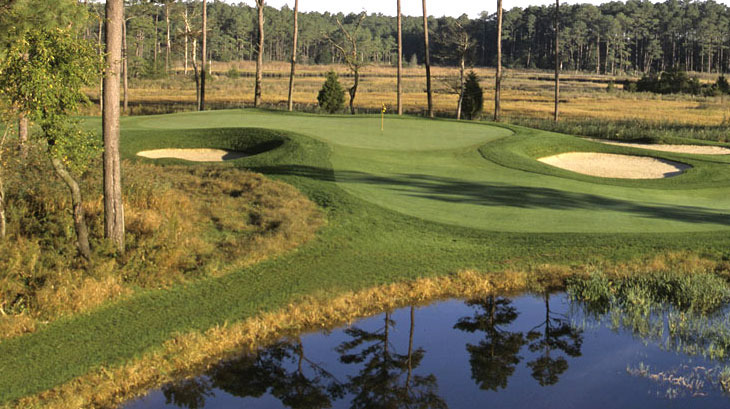 The 6,705 yard course takes full advantage of the natural foliage and terrain and is located just 7 miles west of Ocean City. Each of the 18 holes presents its own challenge, working together to provide the most diverse and satisfying golf experience imaginable. River Run's 250 acre site has always been a riverfront picture of true beauty. Originally forest and farmland, it is now golf at its best. The developers vowed to ensure that the unspoiled nature of the land was protected and improved. That was the motivating factor behind the choice of golf legend Gary Player to design the centerpiece of River Run. Working hand in hand with the developer, Player created a magnificent course.